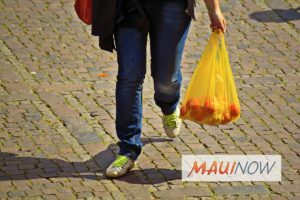 Maui Now : Ask the Mayor: Aren’t Grocers Required to Provide Plastic Bag Recycling? Plastic Bag Ban. 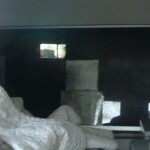 Graphic by Wendy Osher. Q: Aren’t major grocery stores supposed to provide bins to recycle plastic bags? I haven’t seen a bin at Safeway or Foodland for a few years. That means plastic bags are going into the landfill, which is very bad for the environment. I would like to see the bins come back. A: While that practice continues at some places on the Mainland, usually only at stores that continue to sell plastic bags, it was never a requirement of our Maui County ordinance. Some grocery stores in Maui County collected plastic bags for recycling for about six to eight months after the plastic bag ban went into effect and then determined there was no longer a need for it, as the number of bags in circulation had drastically reduced. 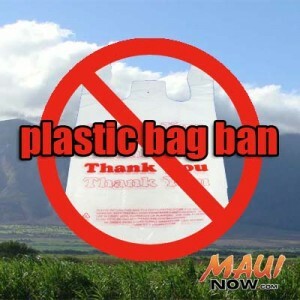 Maui County led the way in the State of Hawai‘i, implementing the first law to limit single-use plastic bags at point of sale. It has been, by and large, a success, with far less litter on our roadsides, and fewer plastic bags going to the landfill. Heavier mil bags are permissible, and are more easily reusable. Produce bags are still allowed, and also may be reused. Additionally, as a result of new restrictions on recyclables being shipped to China, plastic bags are not being accepted now at the recycling facilities where Maui County recyclers and processors send their recyclable materials. This is why plastic bags cannot be recycled at any of the numerous recycling centers in Maui County. Therefore, the best way to ensure a reduction of waste is to stock up on your reusable bags and to take them into the store with you. 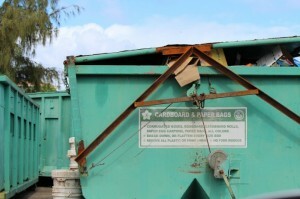 To view a list of county recycling centers where you can take your clean cardboard and paper bags, glass, newspapers, metal food cans and HI-5 containers, visit www.mauicounty.gov/recycling. Please keep in mind that anytime the four county HI-5 redemption centers are open (in Haikū, Makawao, Kīhei, and Kahului), you can also recycle your home office paper, junk mail, magazines, catalogs, phone books, household batteries and cell phones. 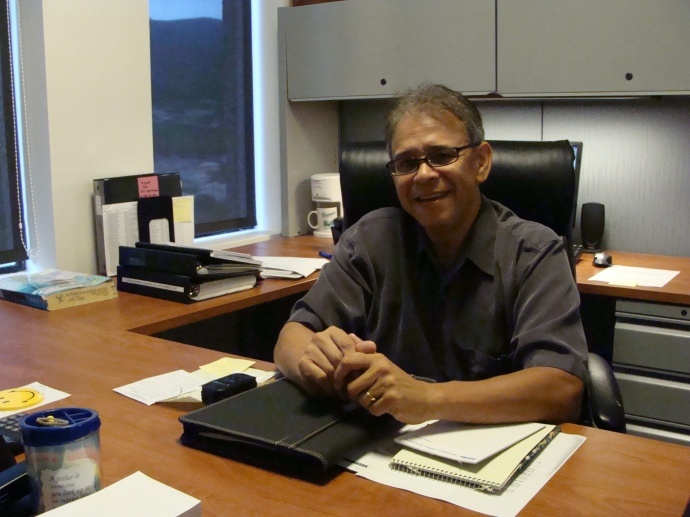 Call the county-contracted operator, Aloha Recycling, for hours and more information at 871-8544. Ask the Mayor: Is There a Reward for Citizens Who Turn in Tips About Arson? 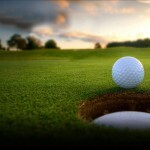 Ask the Mayor: Is There an Ordinance Regarding Golf Course Noise? Ask the Mayor: Why are Empty County Recycling Bins Locked?